While the overall economic perspective is looking brighter than it was a few months ago, retail banks are still looking to cut bottom line costs and reduce expenses wherever possible. One area where businesses continue to see significant budgetary waste is around inaccurate contact data. 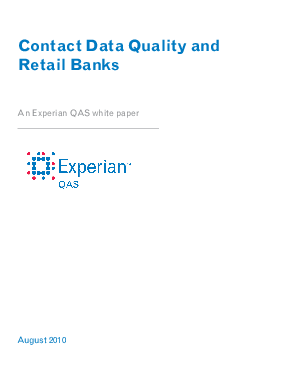 In fact, a recent Experian QAS survey revealed that nearly two out of three retail banks find that between five and thirty percent of their marketing budget is wasted annually as a result of bad data.